KANSAS CITY, Mo. (AP) — The Chiefs’ Patrick Mahomes is just as efficient at home as he is on the road. After winning his first three starts, all away from Arrowhead Stadium, the second-year pro finally made his regular-season home debut Sunday. Mahomes responded by torching San Francisco’s banged-up pass defense for 314 yards and three touchdowns in a 38-27 victory over the 49ers. Mahomes’ touchdown passes to Chris Conley, Demetrius Harris and Sammy Watkins , along with a pair of TD runs by Kareem Hunt, helped Kansas City (3-0) race to a 35-7 lead late in the first half. Few leads are safe against the Chiefs’ porous defense, though. The 49ers (1-2) rallied behind running backs Matt Breida and Alfred Morris, who kept gouging the Chiefs’ defensive front, and Jimmy Garoppolo, who threw for 251 yards and two scores . It was Garoppolo’s 11-yard pass to Marquis Goodwin early in the third quarter that started the comeback, and Morris scored on a short touchdown run later in the quarter to make it 35-24. 49ers LB Reuben Foster had a rough return from a two-game suspension for violating the league’s personal conduct and substance abuse policy. Foster was hit with a personal foul for hitting Mahomes as the QB was sliding in the first half, Kelce beat him in pass defense, and the young linebacker left early in the fourth quarter when he was shaken up on a tackle. 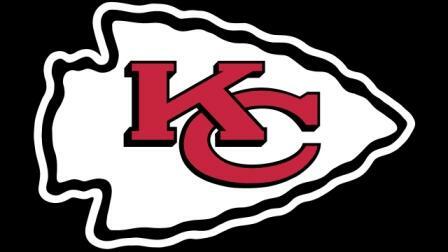 Chiefs: LB Dee Ford left with a groin injury in the fourth quarter. … Conley briefly left with a right ankle injury, though he returned to make his TD catch. … SS Eric Berry (heel) remained inactive for the third straight week. He has not practiced since early in camp.